Blomsteliv er en anderledes blomsterbog, som gennem ultra-makro fotografier viser detaljerne i støvblade, grifler, hår og pollen – det er blomsternes intimeste dele, der afsløres. Flowerlife is a different flower-book showing details of stamens, anthers, hairs and pollen through ultra macro photographs – a most extreme and intimate flower-display. 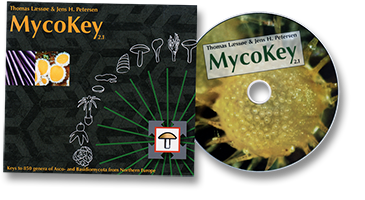 The Kingdom of Fungi is a book on the biology, ecology, morphology and systematics of fungi. If you have always wondered what fungi are and how they live, this is the place to start. The book aims to be self explanatory through more than 800 illustrations and contains a minimum of text. 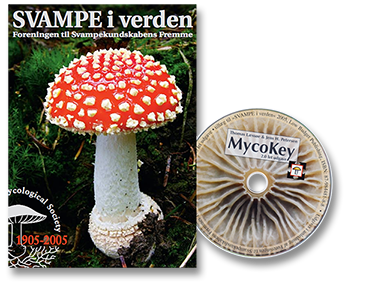 In a way it is my old Danish mycological textbook »Svamperiget« (see below) made intelligible for the rest of the world. The book has 265 pages. 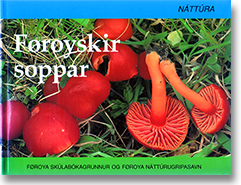 Politikens svampebog is an illustrated guide to around 250 species of common Northern European fungi. The fifth, fully revised edition contains an almost complete update of the pictures and a new graphical key to the species treated in the book. The book has 313 pages and contains more than 700 colour photographs. 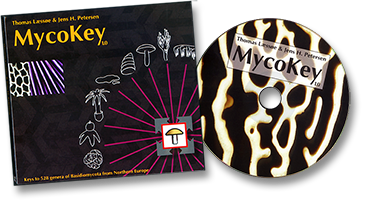 University »text book« on mycology with hundreds of black and white photographs, diagrams and drawings. 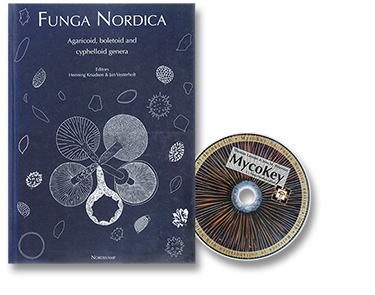 Contains a biological part (kingdoms, the structure of fungi, the fungal cell, individuals and populations, mycogeography, mycosocieties) and a systematic part (Chytridiomycota, Zygomycota, Ascomycota, Basidiomycota). The book has 344 pages. For more info, see also my scientific CV and the apple plantation site.